On Saturday, Michael Brown, an 18-year-old unarmed black man, was shot and killed by a police officer in Ferguson, Mo., outraging community members, who have taken to the streets in protest. There have been conflicting accounts of events leading up to the shooting. Police claim that the teen hit the officer who shot him. That account has been disputed by friends and family. 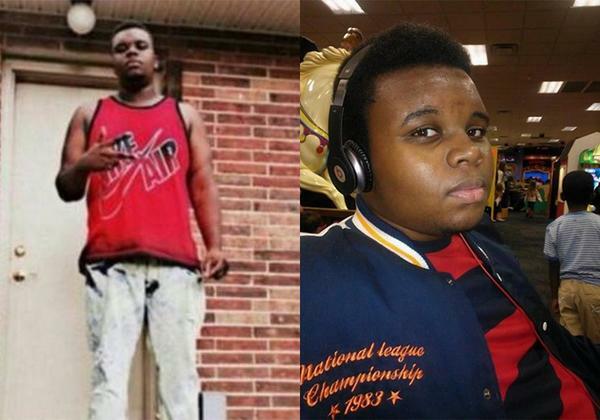 Following Brown's death, some news organizations began using a photo of Michael Brown extending his fingers. The choice of the photo was criticized. Some worried that the gesture could be interpreted as a gang sign; others noted that it could be a peace sign. Coverage of Brown's death has prompted a wider discussion about the way the media handles the deaths of black teenagers, like Jordan Davis and Trayvon Martin. A Twitter movement was born where many black men and women — prompted by the question "If you died, which picture would the media use?" 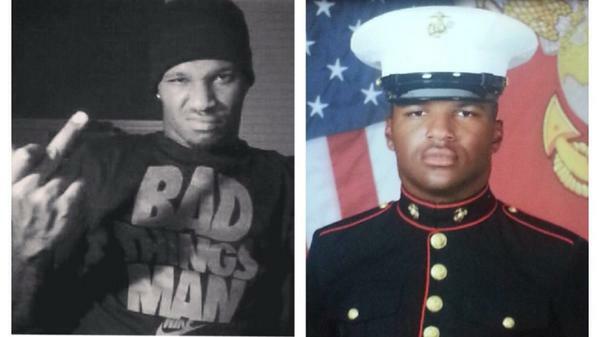 — tweeted side-by-side photos of themselves with the hashtag #IfTheyGunnedMeDown. Larrell Christian, 21, currently active duty in the U.S. Marine Corps, told BuzzFeed he got involved because "it seems like when the police gun someone down they always use a thuggish picture." 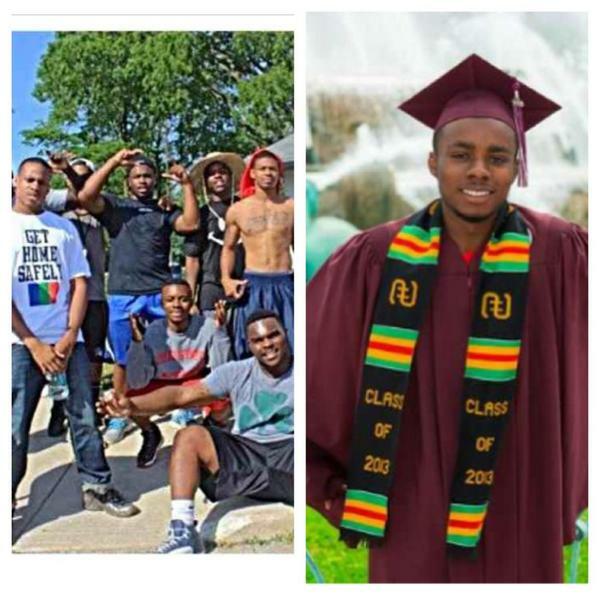 #iftheygunnedmedown which picture would they use? His contribution included a photo of him from boot camp. "People should take notice because this is the society we live in and together we can put an end to it," he said. Deontre Gray, 19, a student athlete at Ohio State University, says that it was important for him to post photos because "it seems that after a wrongful death, the media tries to twist it." 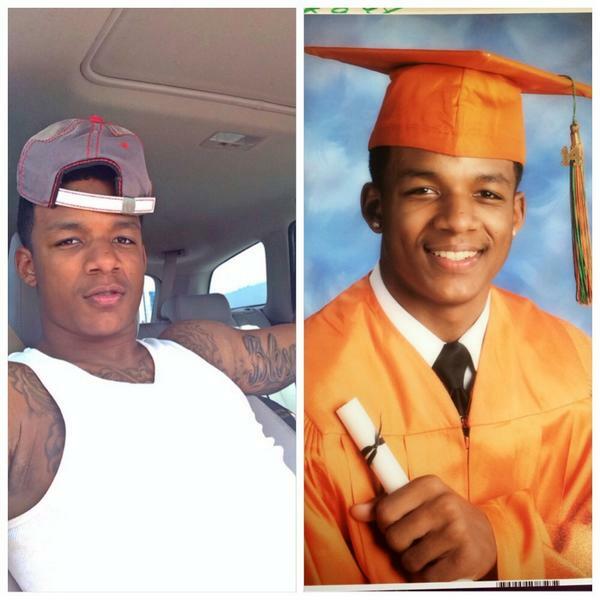 Gray contrasted a photo of him at a community cookout with how he looked on graduation day. "Regardless of what that person does or did that may seem wrong to the world, it does not justify their death or give you the right to cast judgment or call them names such as 'thug' or 'gangbanger,'" he told BuzzFeed. 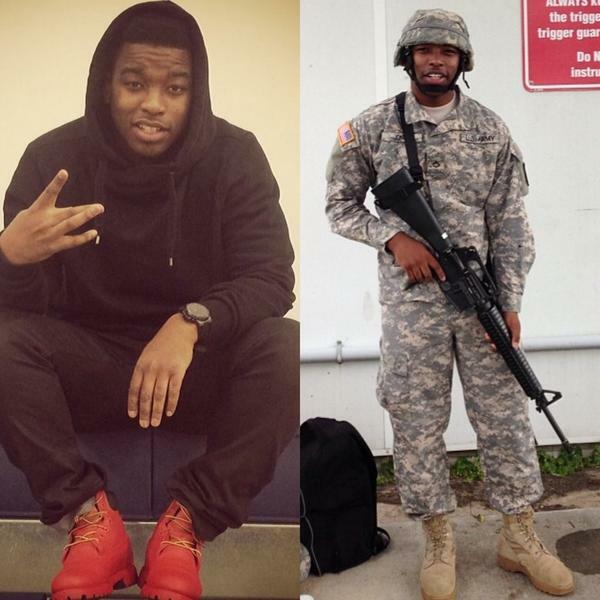 Hundreds of others have followed their lead, tweeting side-by-side #IfTheyGunnedMeDown pictures. Unlike hashtags that may come and go after making their initial point, many feel #IfTheyGunnedMeDown is continuing to resonate because of how it taps into real concerns about how black Americans are portrayed in the media. Akil Houston, assistant professor of cultural and media studies in the department of African American studies at Ohio University, said it shows the complexity of the conversation of media representations of black men. "It's either or: You can be exceptional like Barack Obama or average and typical-looking like 50 Cent and Lil Wayne," he said. "There is little room in the public discourse for complexity of black males and their identities," Houston said. "Whether someone is wearing a hoodie or sweatpants, they can still be a good father and have a job and take care of responsibility." Paul Taylor, head of the department of African American Studies at Penn State University, said the media has a long history of questionable depictions of black men, recalling Time magazine's cover that was blasted for darkening O.J Simpson's skin. Houston told BuzzFeed he talks to his students about black masculinity and how it is perceived in society. He said a largely white audience may see a black male in a hoodie and register him as a potential criminal, while African-Americans would say it's possible "the man is jogging or wearing leisure clothes." Both Houston and Taylor said the more the black community seems under attack and the more the media disseminates harmful images, the more it will contribute to how African-Americans feel they are viewed by others. "The more this sort of thing happens, the more people think, My god, black life does not matter in this place," Taylor said. Taylor did say one positive to come from the conversation is the "increasing literacy young folks have with media images." 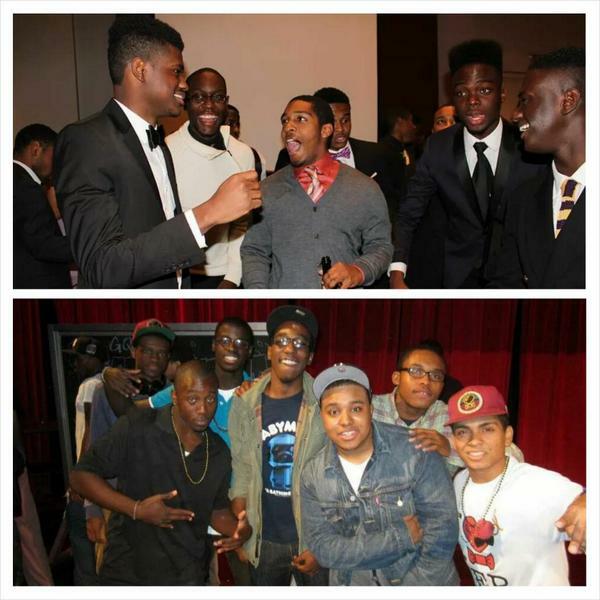 #IfTheyGunnedMeDown today what picture would you use America? Where is the justice. "This sort of conversation used to be the purview of visual arts people," he said. "Young people grew up with this stuff and they're used to interpreting these images that are very sophisticated. They're thinking through the language of pictures in a way that's really quite striking." For now, the case surrounding Michael Brown's death is ongoing, with Trayvon Martin family lawyer Benjamin Crump taking the case on behalf of Brown's family. The St. Louis County Police Department will continue to handle the shooting while the FBI investigates whether there were any civil rights violations. The police department won't release the name of the officer who killed Brown, and the St. Louis suburb of Ferguson has become a place where racial tension and mistrust between the black community and law enforcement continues to be high. Contact Logan Rhoades at logan.rhoades@buzzfeed.com.